A Brand Identity Pack takes the key elements such as your vision, colour, type, icons, imagery and turns these into a pack that helps deliver a clear message to your audience. The pack gives everyone who works with your brand clarity on how to present a consistent visual communication across all channels. 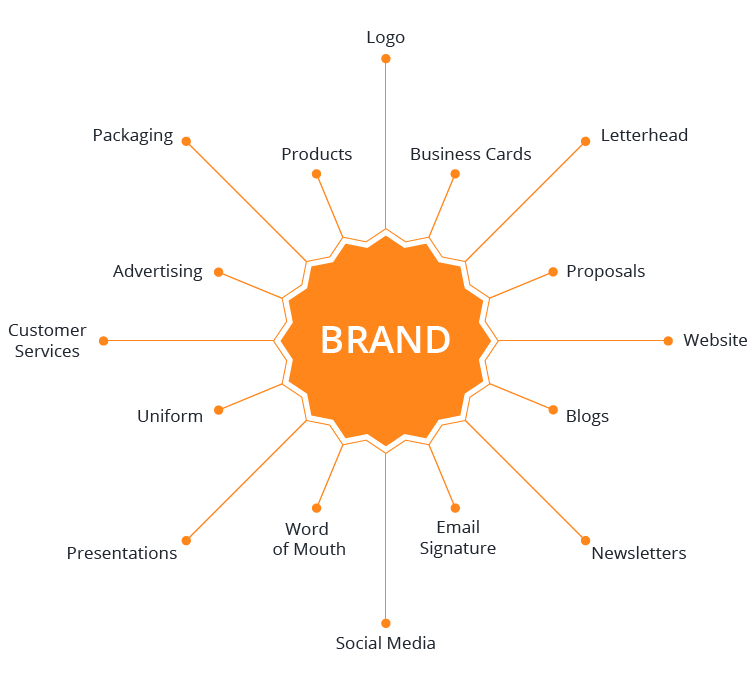 There are 5 main elements to create a Brand Identity Pack and each comes with specific usage instructions. Is what a company stands for in the minds and hearts of its target audience. It is a compilation of verbal, emotional and visual components which are used to express the unique character of your brand and how it is presented to the world. Your brand story is what sets you apart from other companies selling the same service or product. The logo comes in a visual form of an exceptional, clear and unique symbol that will be present in all visual communications and is the companies most valuable brand asset. It can have a few versions that can be used in different environments, for example, a coloured, a black & white or just a symbol that can be used on smaller elements but still keeps a clear idea of the brand. Without consistency, a brands authenticity comes into question, that’s why we include in the Brand’s Identity Pack visual examples with logo’s correct used and general restrictions. Colour has the ability to communicate messages and evoke emotional responses. Deciding on a colour palette that fits your brand and represents the main feeling will enable you to influence your client’s behaviour towards your brand. In the Brand Identity Pack, the colour guide illustrates all the information you need to reproduce the colours accurately on all online and offline materials. An important role to play in your brand is the typography, it requires attention and serves as the visual interpretation of the brand’s voice. Typography has the ability to communicate your brand’s personality. A style guide regulates the number of allowable weights and styles and defines the proper spacing and formatting of letters. Brand imagery consists of all visual aspects used in communications. This can include photography, illustration, video and all kinds of static or dynamic graphics. All imagery should capture the spirit of the organization and act as the representation of the brand’s personality.